A comic book means something different to everyone. There was someone who once opened up these exact copies of Amazing Spider-Man #18, #26 and #36 back when they first were published in the 1960s and read some spectacular Stan Lee and Steve Ditko stories. When they see these issues today, they might think of some of Spidey’s earliest encounters with two of his classic villains, Sandman and Green Goblin. Current readers of Rick Remender’s Venom series may see the Crime-Master and think back to the character’s earliest roots. 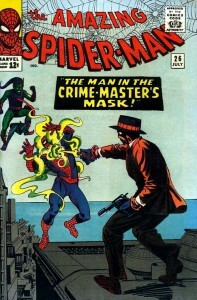 Maybe somebody bought ASM #36 thinking the Looter was going to be the next big thing in Marvel comics. Maybe it’s something more personal. Maybe, this was somebody’s first comic book, or for some, it was a comic book that came out the year/month they were born. Maybe they received it as a gift from a loved one, or it was the first thing they read after they lost a loved one, so the issue will always have some kind of emotional significance. That’s the beauty of comic books. It can mean all of these things to each individual and none of it would be wrong, because it’s your comic book and it’s your memory. 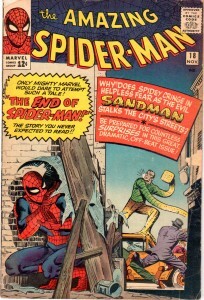 I’ve long embraced the sense-memory that comes with personal possessions, but perhaps there may be no more three important issues in my collection going forward than ASM’s 18, 26 and 36. That’s because with this month’s haul, my ASM chase is going on temporary hiatus, as my wife and I are expecting our first child in November and from what I’ve been told, those little buggers can be quite expensive and indiscriminate about what they decide to chew or poop on. All kidding aside, the idea of fatherhood is still a strange concept to me. I’m obviously more excited than words can really do justice, yet simultaneously anxious in a way I’ve never been before. I’ve always been the baby of my family and now I’m going to be responsible for taking care of another life. All of the obvious questions are running through my brain – What if I’m not good enough? What if I’m not smart enough? How do I make sure my kid likes me but also respects me? What if I fail him in some way and don’t even realize it until years later when I’m reading a blog post about it. And then of course I think about all the good stuff: watching baseball or football on the couch on a Sunday afternoon. Going to the beach in the summertime and flying a kite. Visiting grandma and grandpa’s and being simultaneously happy and flummoxed as they spoil my child. And yes, I’ve even thought of my child opening a comic book for the first time, and being filled with the some wonder and imagination that I was. How my child will look at my collection and want to follow in kind. Maybe I’ll even give him my complete run of ASM when he’s old enough to appreciate it. As for justifying my collecting hiatus – as if I really need to, but why the heck not. Uncle Ben’s words have never been truer than they are here: “With great power comes great responsibility.” There’s just going to be so much time and energy being dedicated to getting my child born and taken care of over the next few months. I can’t really focus on my energies on hunting down nice low-grade copies of ASM #6 or #4 while I’m figuring out how to be a father. And while I know that’s a lifelong lesson, I feel safe in saying that the chase will resume again, and hopefully not after too long of a break (though you never know). As I’ve been saying to my wife as both self-affirmation and to assuage her worst fears, we’ll know when the time is right for me to jump back into the fray. 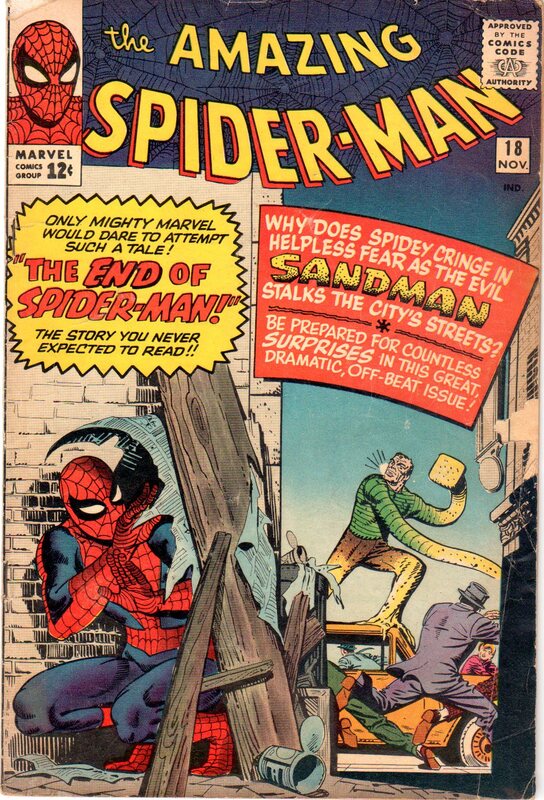 Meanwhile, I will still continue to get new issues of Amazing Spider-Man every month, and I still work a few blocks away from a local comic book shop to get my fill of cross-overs and new series (Avenging Spider-Man debuts in November in fact). I see no reason why I can’t continue to post my “Reading Experience” and “Remembrance of Comics Past” posts as I have hundreds of comic book-related memories, and hundreds of storylines and panels to wax poetic about. To be perfectly honest with you and myself, I wouldn’t be shocked if I missed a few days here and there with posts. Again, I heard that infants really don’t care whether you’re trying to get a post up for the next day. They just want to be fed, burped and changed and that should probably be my top priority. And on top of all that, my September haul leaves me in excellent shape to complete this run rather efficiently once I get back into the swing of things. I have exactly 8 issues to go, which means with this month’s purchases, I have also passed another major collecting benchmark – less than 10 issues to go. That’s a pretty incredible thing in its own right. When I started this site earlier this year, I had about 30 issues left in my chase. To be able to make such a sizeable dent in such a short amount of time means my collection has probably earned this hiatus. But that’s just the subplot. What’s important here is 10, 15, 20 years from now, I’m going to remember these three comics as the last three Silver Age issues I picked up before the birth of my son. When I’m sitting down with him years from now, I can show him these comics and say, “this is what daddy got right before you were born.” These are the comics I collected right before I started on a journey far more exhilarating than any “chase” I may be writing about. Congratulations! Hope everything goes okay! Well put, sir. This is just another chapter in your adventure – and a pretty exciting one at that. Congrats Mark! Those last 8 issues will be waiting for you when you have the time / $. Keep your eyes open for prices on them, just to keep appraised of what they are going for (with the movie there may be an influx of sellers!) so that when you’re ready you get a deal. Of course… a guy has to look, right? I imagine the Lizard stuff is going to be a little overvalued next summer so that may end up as one of the last books I grab in all this. Congratulations! I’ve made fewer big-ticket comic purchases since the birth of my son 6 years ago and my daughter 2, but that just means I’ve explored some of the cheaper series. 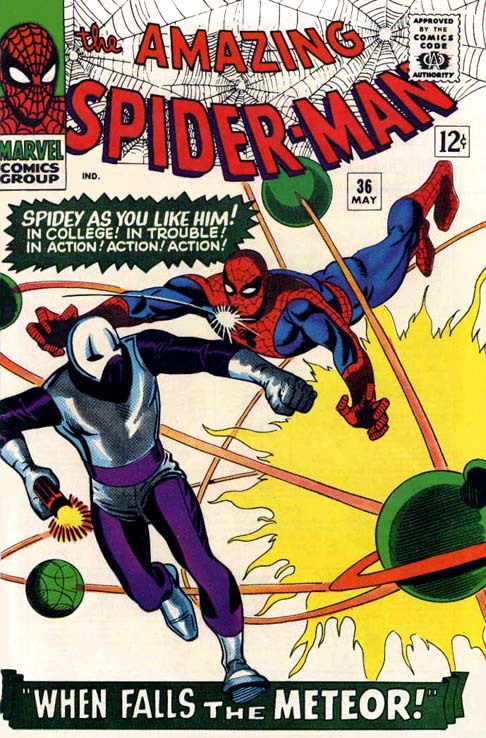 Maybe this is a good time to get started on completing the Spectacular or Marvel Team-Up runs? Yeah. And close the gap on some annuals I’m missing. But thanks! Still need to figure a way to get ASM #1, 3, 4 and 6 at some point though. Can’t be stuck here when I’m so close. The first few months with a new baby are a rodeo and you are wise to set aside your noble quest … for awhile. But you should return to it sooner rather than later. Everything you wrote about sense-memory still applies after you’ve got a kid — doubly so. I still remember the book I was reading when my first boy was born; I remember what I was doing at work when the call came that “it was time.” The list goes on. So get back to your comics as soon as you can swing it, the better to connect those baby firsts with your beloved wallcrawler. Which comic will you be reading when your child first talks? Walks? Leaves for college? It’s a life-long adventure. Hey thanks for visiting and the kind words. Just found your site today and like what you got there. Glad to find another dad in the collector club here! Look forward to some share memories. Thanks! I’ve set up a RSS sub for your blog and will be reading your future updates, however infrequent. Keep the faith! Congrats on the young ‘un and the monthly haul! 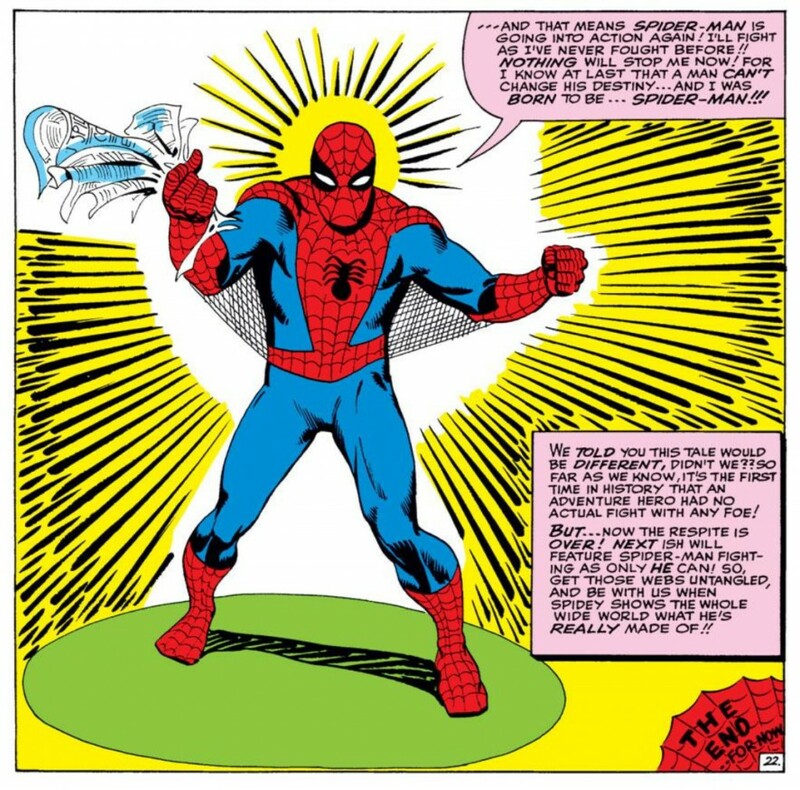 As I mentioned awhile back, #18 to me completes the first loop or arc or whatever you want to call it, where Peter goes through the “I’m chucking it all away” to emerge reinvigorated in his determination to fight crime. I particularly love the scene where Aunt May gives him a lecture on Parkers being tougher than they might appear.